When it comes to running and marketing a business, there are going to be things that work for some businesses and don’t work for others. But there are also some essential elements — a logo, an email strategy, interesting content — which all small businesses will need. 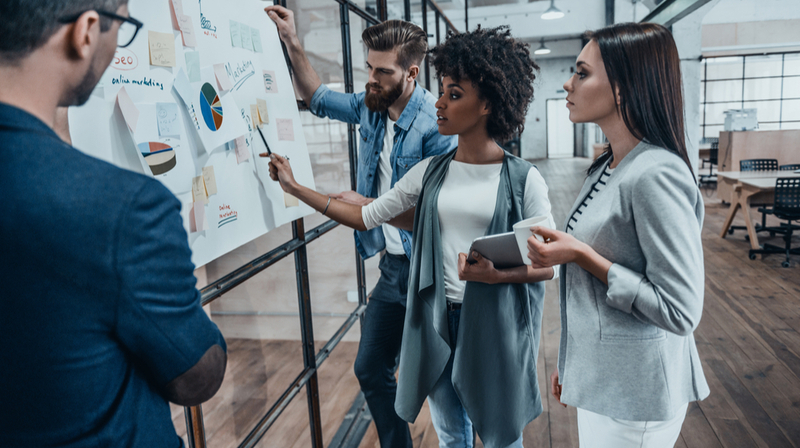 Here are 10 tips to consider for marketing your business more effectively from members of the online small business community. A good logo is essential to any small business branding campaign. And you don’t need to be a professional designer or spend tons of time and money on a great looking logo. In this post on the Kissmetrics blog, Neil Patel explains how you can create a logo for your brand quickly and efficiently. Email has been a staple of small business marketing plans for years. But despite that staying power, rumors about the demise of email marketing persist, causing some new entrepreneurs to overlook this powerful tool. If you’ve fallen into that category, take a look at this DIY Marketers post by Ivana Taylor for a guide on getting started. Blogging is another popular marketing tactic for small businesses. But if you want your blog to actually make an impact, it has to interest people. This Blogging Tips post by Christopher Jan Benitez details how you can make blogs from boring niches interesting. And BizSugar members commented on the post here. Outsourcing various parts of your business operations, from marketing to shipping, can offer great opportunities for growth. There are various benefits to taking this route. And Ivan Widjaya of Biz Penguin outlines some of those benefits in this post. Technology has made massive changes to the marketing landscape in recent years. So if you want your own marketing efforts to make a splash, you need to know the facts about the technology involved. Check out this Marketing Land post by Scott Brinker for more. When it comes to increasing sales for your small business, video can prove to be an effective format. In this Smallbiztechnology.com post, Ramon Ray dives into how video can make an impact on various parts of the sales funnel and shares actionable tips for entrepreneurs and sales professionals. Marketing ultimately is just about communicating with customers. So it makes sense for businesses to use the platforms that are most popular with their customers. That can include text messaging. For more on the subject, check out this Content Marketing Institute by Chris Frascella. Your competitors can certainly make an impact on the success of your business. But it can also be a detriment for businesses to pay too much attention to those outside entities, as Rachel Strella of Strella Social Media argues here. You can also see discussion from the BizSugar community about the subject here. Market research is an essential step for any small business looking to grow and reach more customers. And Facebook can be a great platform for doing so. This Social Media Examiner post by Maria Dykstra includes some tips for using Facebook ads for market research. Search engines can be another great method for reaching the most relevant customers for your small business. To make the most of these platforms, you need to focus on the most important tasks, like the ones listed in this Search Engine Journal post by Patrick Reinhart.